Private and personal consulting.We will strive to meet wishes and budget. 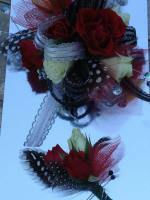 We love to create your special flowers to match your personally , dress and colors. Our designers will fit your budget and needs. Beautiful fresh flowers make such a thoughtful gift, and with Crazy Daisy's Flower Shop, ordering them is easy and convenient. Browse our website to find the perfect floral gift and order online or over the phone. You can trust our skilled florists to arrange a beautiful bouquet for your special occasion, or even create a gorgeous one-of-a-kind arrangement just for you. 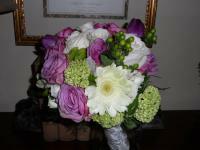 Order from Jackson Flower Shop for reliable delivery in Jasper co. Ga and across the nation. As a leading florist in Monticello, Crazy Daisy's Flower Shop offers top quality flower arrangements for any occasion. The expert florists at Crazy Daisy's Flower Shop are committed to designing beautiful, quality arrangements and providing exceptional customer service to our customers. We offer reliable Jasper Co. floral delivery and can even provide same-day delivery services. If you need to deliver across the country, our dependable florist network offers nationwide flower delivery. 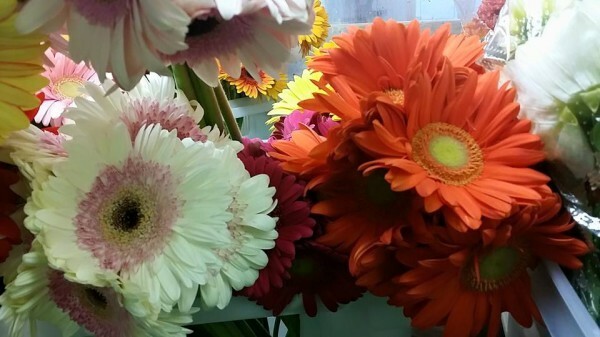 Give a gift that will bring a smile to a loved one’s face with fresh flower bouquets from Crazy Daisy's Flower Shop. Find gorgeous arrangements of birthday flowers, get well flowers, or anniversary flowers. In need of a gift for a holiday or special occasion? Our Valentine’s Day flowers and Mother’s Day flowers are guaranteed to please, while our sympathy flowers will show them how much you care. With our reliable service, you can count on Crazy Daisy's Flower Shop for high quality flowers delivered in Jasper County, GA.
Beautiful fresh flowers make such a thoughtful gift, and with Crazy Daisy's Flower Shop, ordering them is easy and convenient. Browse our website to find the perfect floral gift and order online or over the phone. You can trust our skilled florists to arrange a beautiful bouquet for your special occasion, or even create a gorgeous one-of-a-kind arrangement just for you. Order from Crazy Daisy's Flower Shop for reliable delivery in Jasper County, Ga and across the nation.